Home » Cancer » “Bad Luck” Really the Leading Cause of Cancer? Cancer is one of those mysterious conditions, and it is not the result of one single thing. Almost everything is known to cause or increase your risk of cancer these days, and many people will make positive lifestyle changes to help decrease their cancer risk or treat a current diagnosis. They may reduce their intake of dietary chemicals, such as additives, preservatives, or pesticides; decrease their daily stresses through exercise or a yoga class; or maybe they make the move to quit smoking. Researchers from the Johns Hopkins University School of Medicine determined that “bad luck” is the main factor of one of the most feared diseases on the planet. Two-thirds of cancer cases can be linked to random gene mutations that influence the growth of cancer, according to the study published in the journal Science. 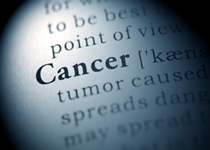 The study observed 31 cancer types, and 22 were deemed the result of biological bad luck. That list included pancreatic, testicular, ovarian, brain, and bone cancer, and leukemia. Skin cancer, colorectal cancer, and lung cancer were among the nine other cancer types linked to environmental factors and genetic flaws. The researchers concluded that the number of stem cell divisions explained the results. They charted the total lifetime stem cell divisions of a particular tissue and compared that to the cumulative risk of cancer for the tissue. The random errors from DNA division would, therefore, lead to the development of cancer. Does “Bad Luck” Really Determine Your Cancer Risk? After one study, should we believe that cancer is solely a product of chance? Absolutely not! Many articles about the study have also confused the general public with headlines, such as, “Most cancer types ‘just bad luck’,” and “Two-thirds of adult cancers largely ‘down to bad luck’ rather than genes.” I don’t believe cancer is that simple. The researchers may have oversimplified that there is nothing you can do differently to lower your cancer risk. It is important to note that the study did not examine absolute cancer risks, but the possible variants of cancer risk. The researchers made estimations of the cell division rate, and the results may not have been accurate. What Are Other Possible Causes of Cancer? Cancer does not always form from stem cells. Differentiated cells or progenitor cells may also cause some tumors. Epigenetics may also play a role in cancer risk, and the cancer cells may be impacted by the state of your blood, and various signals. What are these signals that control the cause of serious diseases, such as cancer? Your thoughts, beliefs, and perceptions all play a factor. Carcinogens, pesticides, and food additives could also be chemical contributors toward cancer risk. Heavy metals, geopathic stress, radiation, and EMF (electromagnetic field) frequencies may also influence the disease. Stress and depression are also emotional factors that may impact the immune system and subsequently lead to cancer. The concept of epigenetics reiterates the importance of your life choices, especially to reduce your risk of cancer. Essentially, we can create our own luck. Diet choices, in particular, are connected to many cancer types, including 70% of colorectal cancer occurrences. Heavy consumption of red meat is even linked to oral, breast, pancreatic, gastric, colorectal, prostate, and bladder cancers. Any healthy diet should include nutrient-dense fruit and vegetables every day. A cancer prevention diet should include a variety of vegetables or fruits in every meal, which are heavy in antioxidants, such as beta-carotene, vitamin A, vitamin C, vitamin E, and selenium. Broccoli, Brussels sprouts, blueberries, apples, carrots, and cauliflower are all high in antioxidants. It is also best to consume organic produce and meats to avoid chemical exposure. Finally, it is also important that people get exercise to avoid cancer. A daily walk can go a long way to help you reduce fatigue, stress, and emotional burdens that may eventually lead to cancer. Anand, P., et al., “Cancer is a Preventable Disease that Requires Major Lifestyle Changes,” Pharmaceutical Research September 2008; 25(9): 2097–2116, doi: 10.1007/s11095-008-9661-9. Couzin-Frankel, J., “Backlash greets ‘bad luck’ cancer study and coverage,” Science January 16, 2015; 347(6219): 224, doi: 10.1126/science.347.6219.224. Dunham, W., “Biological ‘Bad Luck’ Blamed In Two-Thirds Of Cancer Cases,” HuffPost Healthy Living web site; http://www.huffingtonpost.com/2015/01/02/biological-bad-luck-cancer_n_6404184.html?utm_hp_ref=healthy-living, last accessed January 20, 2015. O’Hara, B. and GrrlScientist, “Bad luck, bad journalism and cancer rates,” The Guardian web site, January 2, 2015; http://www.theguardian.com/science/grrlscientist/2015/jan/02/bad-luck-bad-journalism-and-cancer-rates. Tomasetti, C. and Vogelstein, B., “Variation in cancer risk among tissues can be explained by the number of stem cell divisions,” Science January 2, 2015; 347(6217): 78–81, doi: 10.1126/science.1260825.